United States - Oct 6, 2013 - Start with a beautiful Southern California night, then, note a brightly lit structure in the distant hills. And, now, imagine a second one, almost exactly like the first – With one structure parallel to the other, just on different hills. Passing through a chain of green lights, you travel towards both hill-side palaces, just as it has quickly slipped into the night with the brightness of the sun replaced by twinkling party lights. Choosing the left gate and ascending the hill is altogether festive. There, along with the tender breezes at the top, are happily racing parking attendant-greeters and an amazing view of the Catalina Islands. Yet, as majestic as this moment might be, you are there to work! Early, as usual, you exit your automobile. Immediately, you navigate the people crowded entrance, walk straight past the wedding venue’s hostess, and right down to the ceremony area. Surveying the layout, saying “hello” to the other wedding vendors, doing a microphone “sound – check”, and, so forth. There, diligently going through your pre-ceremony paces, always competent, helpful, and organized. – But, then, it happens, you hear the marrying couple’s first and last names mentioned….. Oops, your innocent mistake hits hard, much like that childhood “belly flop” on a swimming pool’s hard watery surface. And, under your breath, you say, “I am on the wrong hill!” Now, you are not the usual “Wedding Crasher”, because you are a “Wedding Officiator!” This kind of crashing is excusable, and even humorous, especially if it is by a diligent and legitimate marriage officiant. Note: By the way, exiting quickly, but still early, the real officiator of this true story found her bride and groom at the wedding venue on the other hill! 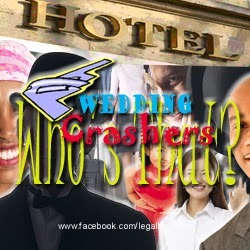 Real Wedding Crashers Use Credit Cards Just Like Your Wedding Guests & Might Leave You With The Check! time-block. In fact, as a wedding officiator, scouting out my contracted ceremony event, I have innocently walked into the wrong already happening reception and been greeted warmly by the unsuspecting! It is just that easy to do! So, what about the new wedding crasher? Are they drawn to the open bar and passed hors d'oeuvres at a wedding cocktail hour? Maybe, the monetary treasures in envelopes ready for picking on the gift table? Perhaps, he or she is using your wedding day much like a “dating service”. Certainly, there could be those. Human “creativity” is either noble or dastardly, and amid rising hotel rates, crashers are after your discount. You might say, “Oh well, the more the merrier!”, but, like with anything stolen from the innocents, enough of that kind of activity ruins it for others. Then, the correction becomes corporal, much like punishing the whole fifth grade class just because of one obsessively pesky student transgressor. The experts say today’s “Wedding Crasher” is getting in on the lower price connected with a block of rooms for a wedding or a corporate event. Apparently, rates are steeper during high-demand times such as wedding season or a busy convention period. And the wickedly resourceful know it. This crime of a “stow-away” or “camouflaged” wedding guest is so easily perpetrated. In fact, it is the 68 percent of the marrying engaged, with their public wedding websites doing the “aiding and abetting”. How you might ask? The simple act of the on-line posting of important wedding organizational details for genuine wedding guest attendees is the culprit. For those “devious for a discount”, a wedding website provides guest information, such as where to book rooms and deal codes that often are not password-protected. Crashing a block is easy enough to do with just a quick search for "wedding block," (along with a location and date), yielding potential dozens of examples. Wedding website couples, not-to-worry, and hotel purveyors don’t punish the “whole for the few”. Even though “crashers” fly under the radar, it is easy to determine if one is a victim. Together, with a representative of the hotel hosting your wedding guests, go through the names in your discounted block regularly. If you don’t recognize a name or two, just let them know. If your “discount code” was used by a “Wedding Crasher”, the hotel might suggest the typical protocol for this offense. Finally, a bit of a warning too … Realize that Hotels aren't overly concerned about crashers, as it's better to sell a room than have it go empty. So, engaged couples, this leaves it to you to thwart interlopers. Do be diligent to catch any crashers in your room blocks. Too many couples “asleep at the wheel” could result in legitimate guests' paying higher rates or being unable to book at all. Those not-caught uninvited can also leach right under your nose. Perhaps, even padding the bill for things you might pay for per head for your guests, such as breakfast, shuttle use or gift placed in rooms. Certainly, there may be other un-intended consequences. 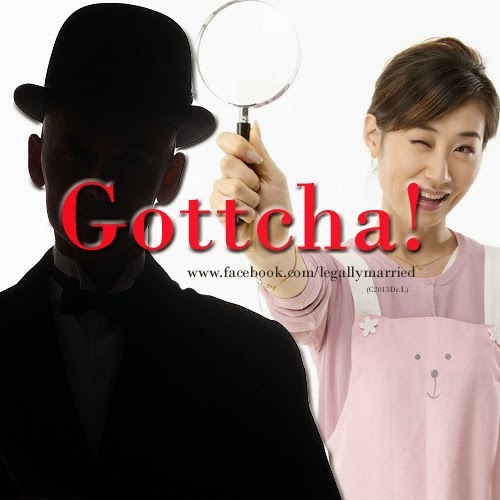 So, for all of us innocents, Happy “Wedding Crasher” sleuthing!